ISTANBUL --- Turkey's defense and aerospace industry exports this year are expected to top $2 billion, said the nation’s defense industries chief on Friday. 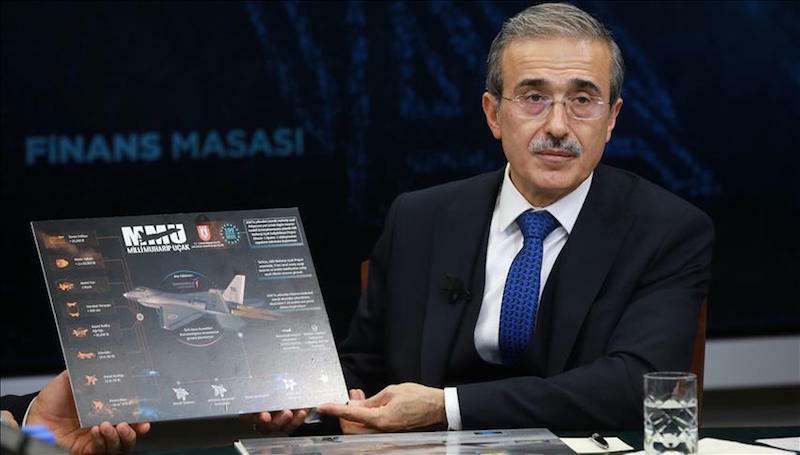 Speaking at Anadolu Agency’s Finance Desk, Ismail Demir said that Turkey's defense and aerospace industry exports had already reached around $1.5 billion as of October, an annual rise of some 14 percent. "We think that both the barter method and the use of local currency will be very attractive in potential market areas of our interest," said Demir. Demir also said that with some design changes, the Atak Faz-2 helicopter will boost its capacity to carry more weapons and protection systems, as it is on track to join the Turkish Armed Forces’ inventory by mid-2019. He stressed that Turkey's defense industry is working on indigenous engines to be used with the T625 and ATAK helicopters, adding that the ATAK 2's engines will also be made with the lessons learned from there. "Turbojet and turbofan engines will be available in various sizes. These engines will be used in unmanned aerial vehicles and cruise missiles," he said. Demir said an engine development project for light armored vehicles also continues. He said they also have a project to establish a Laser Technologies Excellence Center. "Lasers and electromagnetic guns are among our important projects," he said. On purchasing F-35 fighter jets from the U.S., Demir said political debates had had no effect on their plans. There are no problems on the jets’ delivery, he said, adding: "We, as a requirement of partnership, deliver the products we produce, receive the money, and make the payments as we are required." Ankara plans to acquire 100 F-35 fighter jets in the coming years. U.S. Vice Adm. Mat Winter, the executive officer for the F-35 program, said earlier this month that he does not “see any indication of a change” in the delivery of Turkey's 100 jets. This June Turkey took delivery of its first two F-35 fighter jets at a ceremony in Fort Worth, Texas. Turkey has been in the F-35 program since 1999. The Turkish defense industry has taken an active role in their production, with Alp Aviation, AYESAS, Kale Aviation, Kale Pratt & Whitney, and Turkish Aerospace Industries making parts for the first F-35 fighter jet.